Zexum high quality Low Smoke Zero Halogen (LSZH) Single Core Conduit Wiring cable. 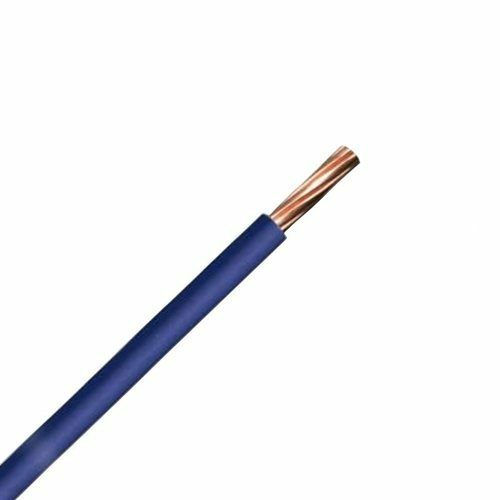 High quality stranded plain annealed copper conductors , Insulated/Sheathed with Blue LSZH. Suitable for voltages up to a maximum voltage of 450V/750V and maximum current of 55A. General purpose Single Core Cable suitable for use mainly in power and lighting circuits along with building wiring, Switch Gear and Control Gear. It is intended for use in exposed conduits, embedded conduits and closed installation ducts. Ideal for the internal wiring of appliances and apparatus. In Particular for installation where fire, smoke emission and toxic fumes create a potential threat.